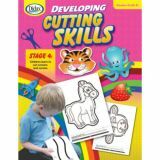 Kids go wild for letter learning with this animal-themed flip chart! The purr...fect circle time activity! 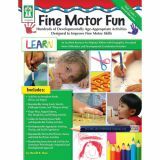 A playful way to help students recognize and name initial letters, link letter and sounds, build oral language vocabulary, and develop concepts about print. 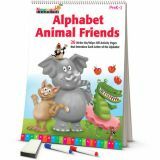 Features step-by-step instructions for teaching phonemic awareness, letter formation, short and long vowels, and more. 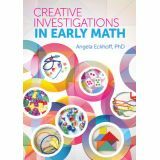 With your guidance, preschoolers can figure out how the world of mathematics works and how math works in their world. 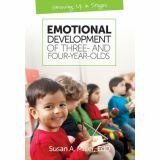 As you support preschoolers struggling to handle emotional challenges that occur during everyday interactions with adults and other children, you will help them learn the skills to navigate their emotional ups and downs in more positive ways. 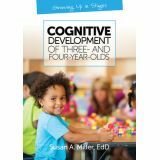 As a guide and facilitator, you can share strategies that will help preschoolers learn to be cooperative team members and kind friends while having fun together. 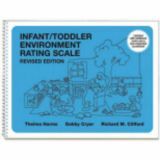 Building on extensive feedback from the field as well as vigorous new research on how best to support infant and toddler development and learning, the authors have revised and updated the widely used Infant/Toddler Environment Rating Scale. ITERS-3 is the next-generation assessment tool for use in center-based child care programs for infants and toddlers up to 36 months of age. ITERS-3 focuses on the full range of needs of infants and toddlers and provides a framework for improving program quality. 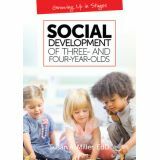 Further, the scale assesses both environmental provisions and teacher-child interactions that affect the broad developmental milestones of infants and toddlers, including: language, cognitive, social-emotional and physical development, as well as concern for health and safety. ITERS-3 is appropriate for state- and district-wide QRIS and continuous quality improvement, program evaluation by directors and supervisors, teacher self-evaluation, monitoring by agency staff, and teacher training programs. The established reliability and validity of the scale make it particularly useful for research and program evaluation. Enhanced focus on interactions and the role of the teacher. 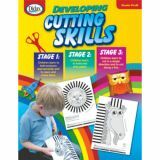 Six new language and literacy Items. 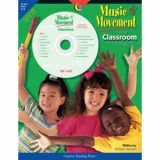 A new Item on beginning math experiences. Expanded age range to include children from birth to 36 months. A new approach to scoring based solely on observation of ongoing classroom activity (3-hour time sample). The elimination of the parents/staff subscale and teacher interviews, freeing up time for observing more actual classroom practice. Improved indicator scaling, providing more precise and useful scores for use in professional development and self-improvement. 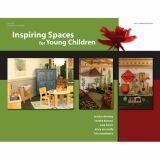 Reduced emphasis on the number of materials, along with greater emphasis on how materials are used to encourage learning. Featuring a new spiral binding, the updated ITERS-R offers more practical assistance in the form of additional notes for clarification and an Expanded Score Sheet, which incorporates notes and tables to assist in scoring. However, the items and indicators remain the same as in the original ITERS-R. 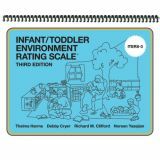 Designed for use in center-based child care programs for infants and toddlers up to 30 months of age, the ITERS-R can be used by program directors for supervision and program improvement, by teaching staff for self-assessment, by agency staff for monitoring, and in teacher training programs. The established reliability and validity of the scale make it particularly useful for research and program evaluation. Convenient organization in seven subscales: * Space and Furnishings * Personal Care Routines * Listening and Talking * Activities * Interaction * Program Structure * Parents and Staff Each of the 39 items is expressed as a 7-point scale with indicators for 1 (inadequate), 3 (minimal), 5 (good), and 7 (excellent). Notes for clarification and questions are included for selected items. An introductory section gives detailed information about the rationale of the ITERS–R, the process of revision, and the reliability and validity of the scale. Full instructions for administration and scoring, as well as a Score Sheet and Profile that may be photocopied, are included with the scale. 80 pages.